We just wanted to take a little time and say Thank You to all your staff including Edyta, Magda and Natalie. This year you've been an outstanding partner to our team. We value your knowledge of the industry, efficiency, great customer service and getting the job done the first time. Thanks for all the hard work! Welcome to All About Trucks Inc.- a family-owned transportation consulting firm specializing in helping you take the plunge into the trucking industry. Our friendly staff will help you open a DOT authority and small-corporation, obtain permits and registrations - both in the United States and Canada. Once you’ve established your business, we’ll assist you with keeping your company fully compliant with DOT and FMCSA regulations, through: reminders for on-time registration/permit renewals, UCR, IFTA, and 2290 Highway Use Tax payments. All About Trucks has its own random drug and alcohol consortium program. This is a program required for all CDL drivers. You can enroll in our program for hassle-free membership. We’ll even pay for all of your random drug and alcohol tests when you select the ‘all inclusive’ membership type. We offer a full set of courses and trainings in FMCSR and DOT regulations. All of our DVD-video-based courses come with certification and twice a year, we host a live seminar at Harper College. You can always make an appointment with one of our experts for a private consulting session. 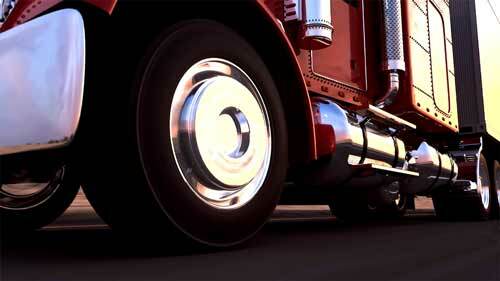 All About Trucks is truly a one-stop service center for transportation business professionals.